Hey guys, it’s time for our weekly update! Thank you to everyone for their great feedback on our new beer at the Free Trade, Maglia Nera! If you haven’t been to the free trade before you should pop along – its a warm and welcoming pub close to Ouseburn with some amazing views over the Quayside. Also, our event at Pacific House went swimmingly on Friday evening and the team had a great time getting involved in the battle of the Beers! Beer pong was great. Christmas is just around the corner… If you’re looking for the perfect present for the beer lover in your life, our bottle packs are a great choice. They cost £12 and include 4 of our beers alongside a bottle opener keyring. If you fancy getting your hands on one contact Harry and Lucy at sales@stubrew.com. Finally, on Thursday the 29th of November, Heineken are coming on campus to give a presentation and host a Q&A about their graduate schemes for those of you who are looking for career options.. The two graduate schemes on offer are the Business Leadership Graduate Programme and their Brewery Operations Future Leaders Programme. 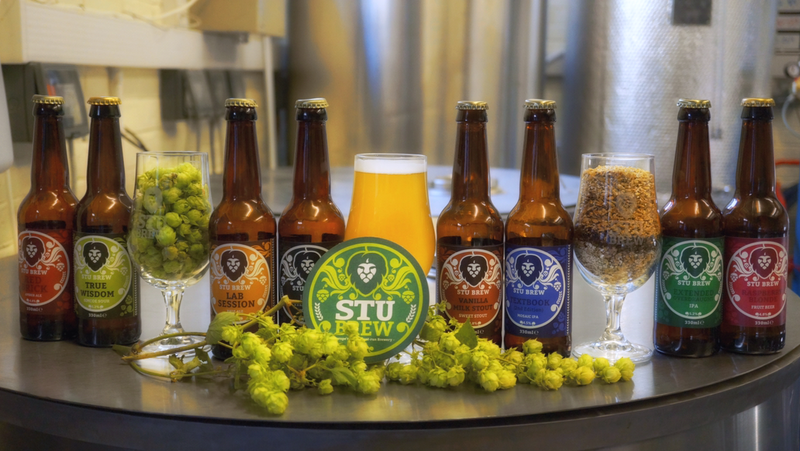 These both are a great way to fulfill a career in the brewing industry and we’re very lucky to have one of the UK’s biggest breweries to come on campus to chat! If you’re interested check out our Facebook event and let us know you’re coming here. For more information about the graduate schemes check out this link: www.heinekengraduates.co.uk. Nearer to the time we’ll confirm an exact location. This is a great opportunity which shouldn’t be missed! That’s all from us for now! Have a great week.